Style 5104 is a sleeveless dress with a scoop neckline. It has a 3-tiered skirt with bands of satin. Satin buttons cover the zipper. 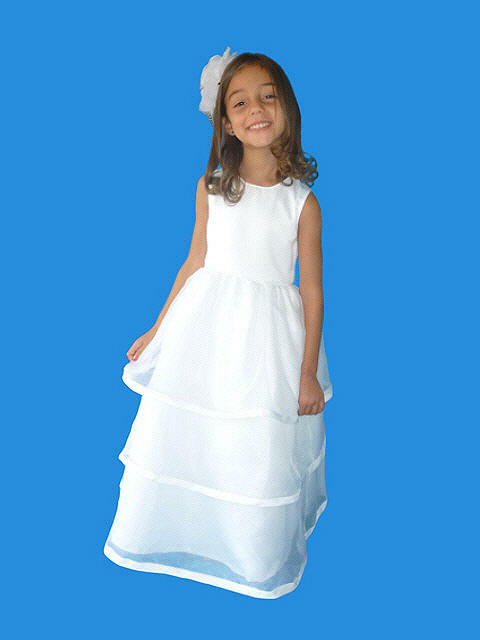 Dress is available in Ivory and White.